Used Mercedes C-Class Review - 2014-present | What Car? When it comes to a rock-solid premium image, there’s little to beat a Mercedes-Benz. After all, who doesn’t want to ride behind that famous three-pointed star? 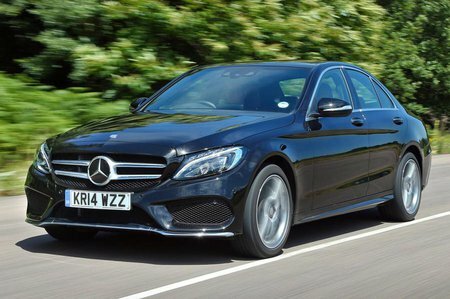 The only problem for the C-Class has always been the stiff competition it faces in the compact executive car class, namely the Audi A4 and the BMW 3 Series. However, its comfort and relaxed driving experience, not to mention its air of dependability, have been enough to win plenty of admirers on both the new and used car markets. For this 2014 version, Mercedes upped the ante even further, with a new platform underneath that enhances passenger space and improves the driving characteristics, and a totally new design for both its interior and exterior, with a noticeable improvement in quality. Not surprisingly, it’s the diesel-engined cars that are most in demand. The C200 d has enough poke for most and claimed economy of up to 72.4mpg. The C220 d feels a little livelier and comes close to matching the smaller engine in economy and CO2 emissions, so is the most popular unit in the range. The thirstier C250 d, while admirably brisk, is harder to recommend. Petrol cars kick off with the C200, which is a refined and adequate performer, and top off with the C43 and C63 AMG models – two variants that put sheer pace and track car agility above any considerations of comfort and economy. Economy is best served by the diesel-electric hybrid version, the C350 e, which has a claimed economy of a truly impressive 134.5mpg. However, as with all similar hybrid cars, such figures should perhaps be taken with a pinch of salt. On the road, the C-Class’s dynamic behaviour and ride comfort are a step up from the older variants, even if it’s not quite as sharp to drive as its two major rivals. Where it disappoints is in refinement, with too much road noise and, most noticeably in the diesel variants, too much engine noise making its way back into the interior. 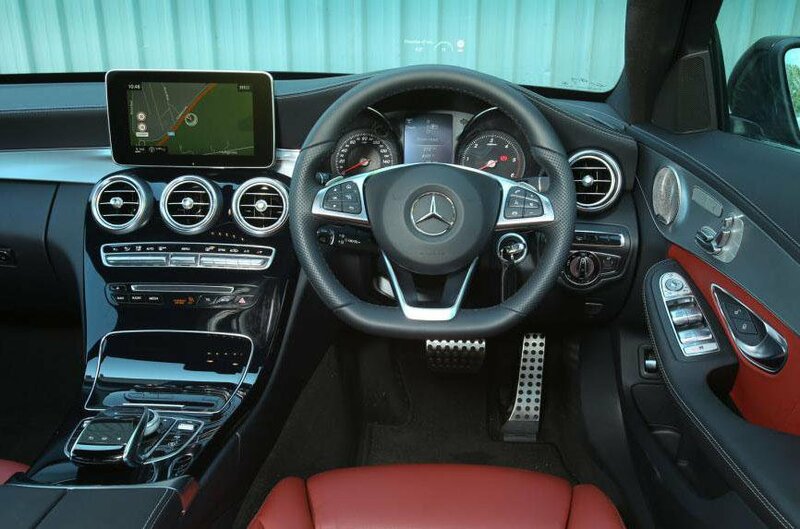 However, the C-Class remains a solid and mostly dependable buy, with plenty of trims, a well-equipped interior and lots of class-leading safety and security kit. Add to that its strong residual values and it’s clear this model is definitely a Merc worth considering.